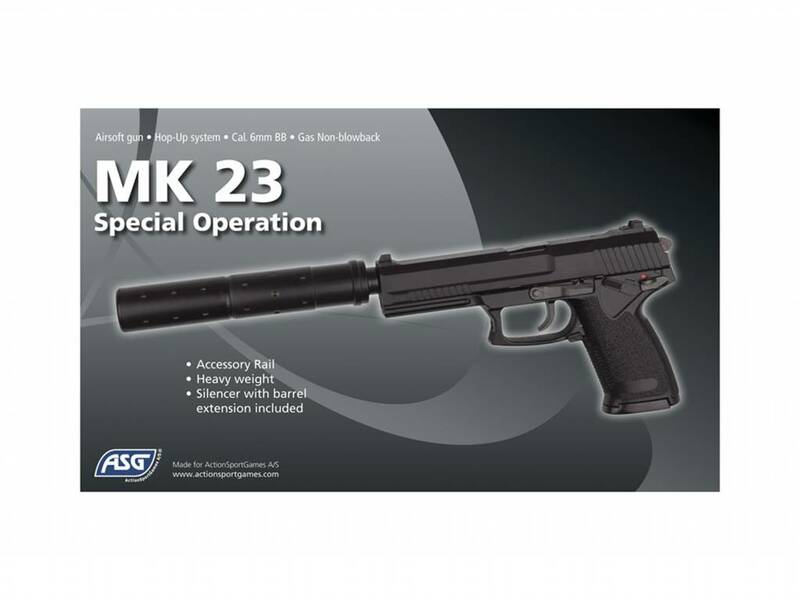 ASG MK23 Special Operations GNB. 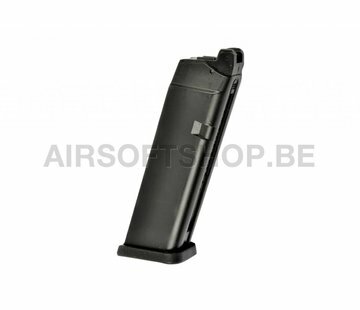 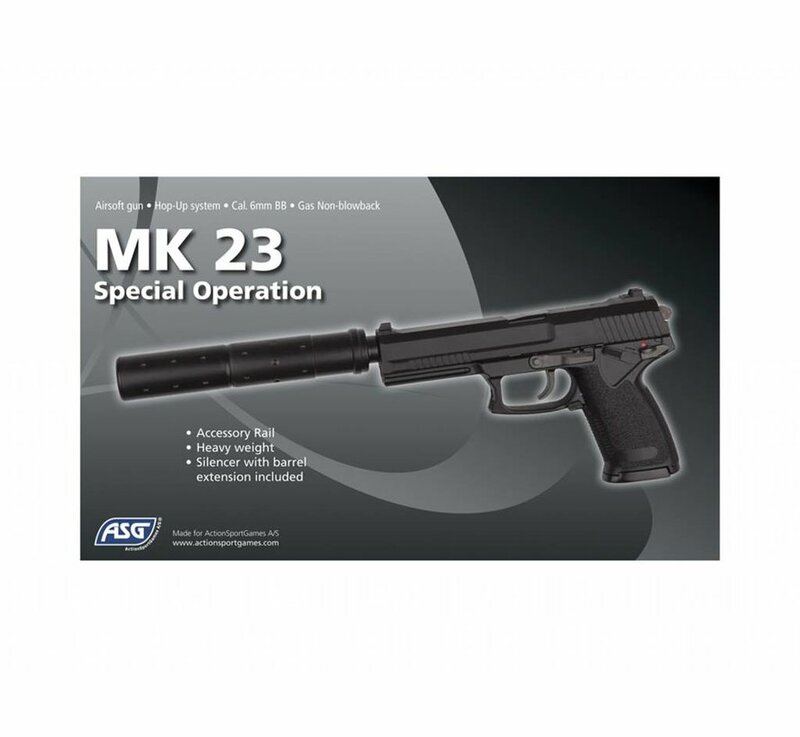 The MK23 Special Operations is an extremely powerful semi-automatic gas pistol and a very popular Airsoft pistol. 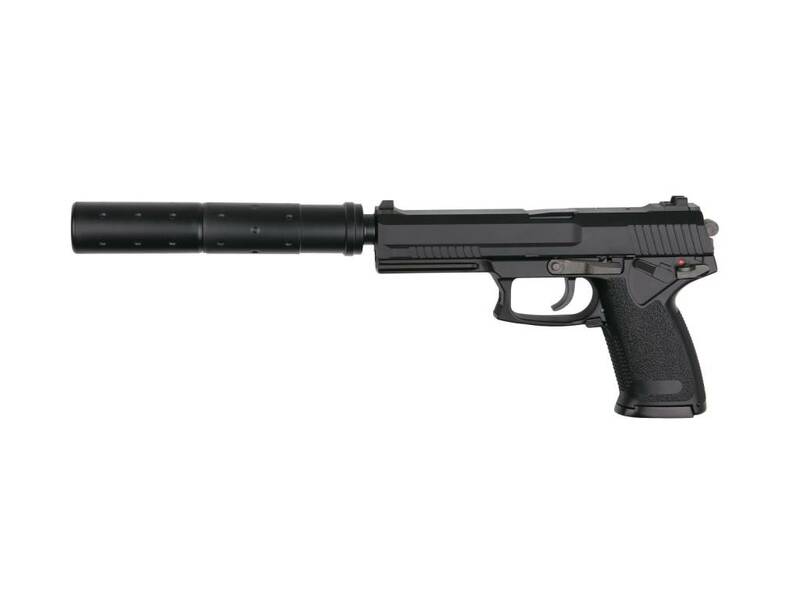 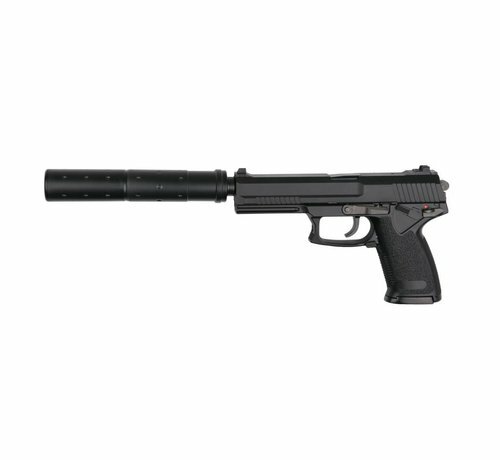 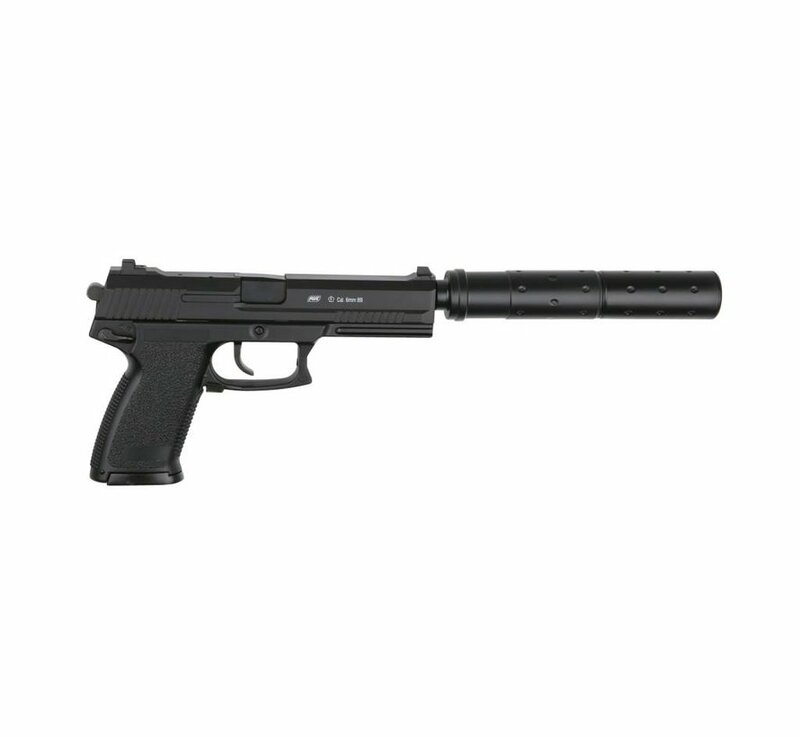 The size alone demands respect and with the enclosed silencer makes for a formidable Airsoft pistol. 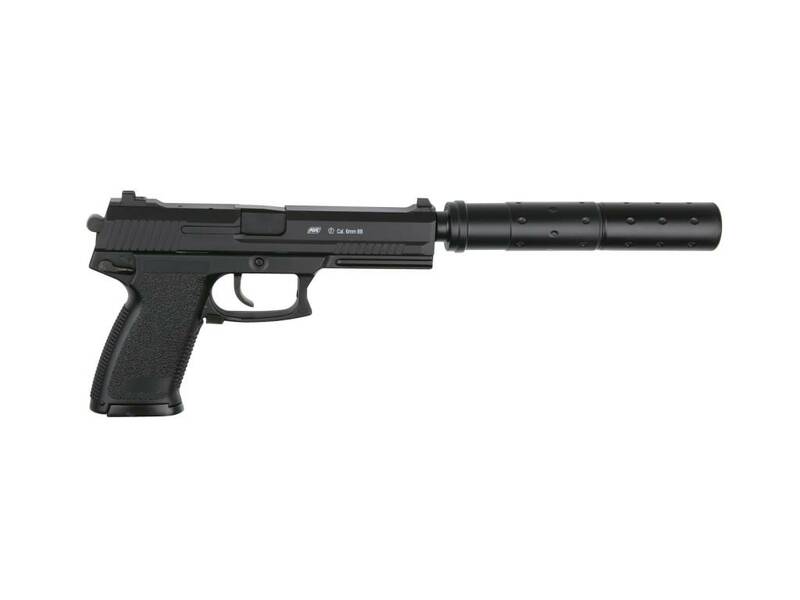 It has a standard weaver/picatinny rail for accessories mounting and the fixed Hop-up combined with power secures a very accurate weapon.